The purpose of Indigent Services is to provide limited and temporary assistance to Cassia County residents for the payment of some non-medical and medical expenses. Assistance from Cassia County is required to be “as a last resort” only; or when no alternative exists. 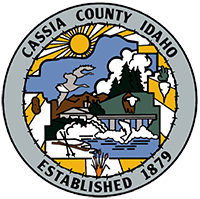 All counties in Idaho, including Cassia County, will require repayment of any taxpayer funds used to assist a county resident under these laws. Before assistance can be provided, however, certain requirements will have to be met and the applicant must present himself for an interview and must be prepared to provide personal information regarding the applicant’s living situation, income, assets of all types, insurance, resources, and much more. Once this information has been gathered, a Service Worker will conduct a thorough investigation to substantiate the data and then make a recommendation to the Board of County Commissioners for approval or denial. Again, any approvals will also include an Order to reimburse the county and the applicant will be required to sign a promissory note. Idaho law provides that an automatic lien is created on all real and personal property of those who file an application for county medical assistance under these laws. There is no fee to file an application for assistance. Requests for medical assistance require a different application than requests for non-medical assistance. All medical providers and hospitals in the state have the necessary application forms for requests for medical assistance. Both application forms can be found at this website. Only the application forms provided by state law may be used. No other form of application will be accepted.